In the Diocese of Buffalo, the Sacrament of Confirmation is usually celebration in the high school years as completion of the Sacraments of Initiation. Celebration of this sacrament invites the unique charisms of the Holy Spirit to be fully embraced by the candidate. Ideally, preparation for this sacrament follows at least two years of high school religious education either in the parish program or Catholic high school. For more information about this program, please contact St. John’s Religious Education Office. Some adults who have been baptized may also feel drawn to complete their initiation into the Catholic faith through the Sacrament of Confirmation. This process gives personal attention to the specific needs of the adult candidate so that they can enter fully into the preparation process. Confirmation is typically made in the Spring of Sophomore Year. Confirmation preparation is required alongside religious education, whether at Catholic School or through Faith Formation. Registration is now open please fill out the registration form above or stop in to the rectory office to fill out a form. Confirmation preparation classes begin on Tuesday, September 18, 2018. 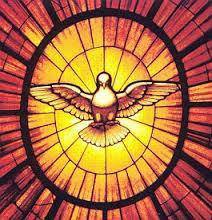 Confirmation classes will take place once a month on Tuesday from 6:15 PM to 7:30 PM until candidates receive the Sacrament (date to be announced). To view the upcoming schedule for classes click here.